Personally, for me, the Sony STR-DH790 is regarded as one of the most noteworthy receivers. Why? Because Sony has always been a solid name in electronics. 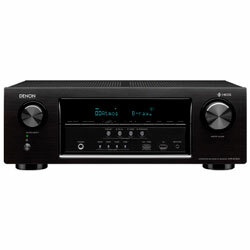 This receiver has enough power to make your speakers sound great. Thanks to the Dolby Atmos and DTS:X object-based surround sound. 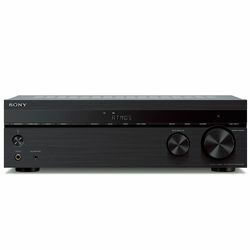 Sony is one of the most famous companies in a good standing, so I decided to test the Sony STR-DH790 and to verify its strengths and weakness. Small size, sleek corpus, classic external view, strict and universal black color are the main visual advantages of the receiver. Its compact dimensions (19.2 x 13.6 x 6.8 inches) and relatively lightweight (15.6 pounds) allow the unit to accommodate on any size shelf. For me, it’s a great advantage because I didn’t want to clutter up the room. 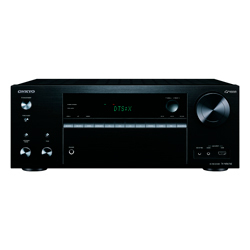 The Sony STR-DH790 has a very thoughtful corpus structure. It allows all the components “to breathe”, but at the same time, they don’t accumulate the dust. Such a design peculiarity not only looks very interesting but also is very useful. I focused on some interesting moments while doing the Sony STR-DH790 review. I paid attention to the fact that the device doesn’t support 4-Ohm speakers. 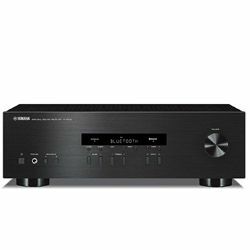 It does not matter in which room and with what equipment the STR-DH790 is used: the receiver works without problems with different speakers. Of course, it was necessary to test such additional features, as built-in clock and sleep timer. The numbers were displayed precisely, thanks to the strong illumination and large size. It should be noted that the sleep timer always turns on at the right time. Worth noting that Sony connects to the phone via Bluetooth instantly. I managed to connect my phone to stream music from Spotify and Pandora. There is no support for HDMI CEC, which means that the connected devices can’t automatically turn the receiver on/off. It was annoying that the receiver kept shutting down every time when I used my 4K DVD player. It overloaded for some reasons even with moderate volume. Keep it in your mind that the right front speaker connection had lost and that caused the calibration to go out of balance for that channel. Also, consider that there might be an issue with this model's predecessor overheating. In my opinion, the main advantage of the Sony is its simplicity. However, the remote is a bit less complicated. I got a 360-degree Dolby sound from the receiver with thunderous bass, higher frequencies, and mid-range notes. 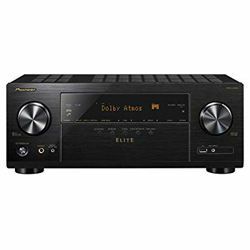 I decided to check out how this receiver can cope with different content, including classical, rock, and heavy metal, folk, podcasts, and audiobooks. The receiver dealt really well with all of them with minimal fiddling with the controls. The unit has 145W per channel. 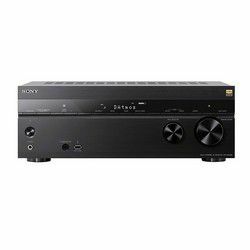 The Sony STR-DH790 has a stunning surround sound. Moreover, it reads every channel to present me the best audio. Such an individual approach makes me feel like I am at the movie theatre. It has enough power to push the speakers and produce strong and clear sound. The Sony creation has a lovely rich tone that adds extra warmth to all the tracks and sounds. Owing to the Dolby Atmos, the most amazing scenes had the additional dimension and fully absorbed me. There are 4 HDMI inputs, as written in the Sony STR-DH790 specs, 1 optical and 1 digital input. All these features resound to requests and present all the best that can offer such a technical development. In my case, connecting the devices was easy. I have an Amazon Fire TV box and PS3 which I joined via HDMI and both worked smoothly and immediately. The main 2 speaker connections are banana plug capable, but the others are not. The on-screen prompts showed all the setting process in detail, so it was easy to perform the necessary procedures. 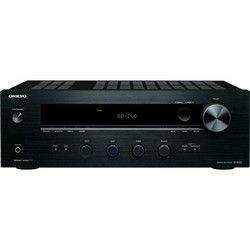 I was so glad to found out that the receiver has an auto-calibration system, which identifies speaker sizes, levels, distances, and EQ. When I started the whole process, my happiness has departed. The calibration was awful. I’ve tried a few times to do this with the microphone in different parts of the room. Unfortunately, every time I calibrated it, the sound was unsatisfied. The subwoofer was set to the lowest dB configuration and completely messed up the clearance between the speakers. I decided to do everything manually and ended up with a great sounding system. An Apple also wasn’t simple to install. I had to figure out how to perform the setting process to use a 5.1 configuration. Thank goodness, the manual presented me 88 pages of useful information, so I found the answer to all the questions. Of course, such a process took me 30-40 minutes, but the data were represented pretty clear. The Sony STR-DH790 is the nice music accommodation, which more than satisfied my needs. 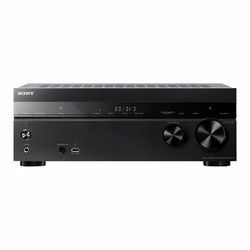 Among the positive features, I can allocate its compact dimensions, thoughtful design, cooling, the Bluetooth, 30 FM stations, small remote, stunning surround sound, 4 HDMI inputs, 1 optical and 1 digital input. I don’t like the facts that the device doesn’t support 4-Ohm speakers. Also, there were no binding posts. The receiver doesn’t support an HDMI CEC and that was very sad to me. I had some difficulties with an auto-calibration system, but I found the solution and did everything manually. Great value for your money.